Too many mothers are dying after childbirth. A hospital hopes to save them. At least 60 percent of pregnancy-related deaths are preventable. Doctors hope that special training and standardized guidelines can save women's lives. At 29, athletic, healthy and pregnant, Tara Hanson and her husband, Ryan, were expecting a normal delivery of their first child. Throughout her pregnancy, the special education teacher from Tinton Falls, New Jersey, was careful about her diet and prenatal care. And there were no problems during the delivery of Hanson’s baby boy, Brandon. Despite a low-risk pregnancy, Hanson became one of the approximately 700 women across the US who die each year as a result of pregnancy or pregnancy-related complications, according to the Centers for Disease Control and Prevention Foundation. The U.S. maternal death rate is the highest in the developed world, six times that of Finland. These devastating statistics, which have made national headlines in the last year, are prompting changes in maternal medicine. In April, the American College of Obstetrics and Gynecology released sweeping new guidelines for postpartum care — urging doctors, patients and insurance companies to focus on “the fourth trimester” by giving new mothers personalized visits to assess physical and mental health. And on Mother's Day, New York-Presbyterian/Columbia Hospital is opening The Mothers Center, the first-of-its-kind center focused on care for all kinds of maternal complications, especially for high-risk women with heart disease, diabetes or autoimmune diseases. At least 60 percent of childbirth-related deaths are preventable, says Dr. Mary D’Alton, chair of obstetrics and gynecology at New York Presbyterian and Columbia University Medical Center. newsBlack mothers are dying at an alarming rate. Is doctor bias to blame? Under D’Alton’s guidance at the Mothers Centers, doctors and nurses get special simulation training to recognize warning signs and quickly treat new mothers for postpartum hemorrhage, one of the most common causes of maternal deaths. In the simulation, medical teams, including a primary provider and nurses, practice on a doll, who can be commanded to say “I feel faint” and can change frequency of how often “she” blinks. The doctors and nurses learn to spot the earliest signs of an emergency and control bleeding. “So when we do have these situations in real patients, we’ve had the opportunity to walk through the steps, to prepare ourselves,” says Dr. Dena Goffman, chief of obstetrics, NewYork-Presbyterian/Columbia University Medical Center. For D’Alton, who as co-chair of New York’s Safe Motherhood Initiative developed protocols for managing maternal emergencies, a review process for every maternal death in the U.S. is even more critical to lowering America's maternal mortality rate. “I don’t believe we are going to be able to fix the problems until we know the reasons behind them,” says D’Alton, who believes there would be a decline in maternal deaths if the U.S. followed the lead of European countries. That’s what California has been trying to do over the past few years. Researchers and doctors there decided to grapple with the issue of maternal deaths and the state has managed to cut its mortality rate by 55 percent, says Dr. Rashmi Rao, a maternal-fetal medicine specialist at the University of California, Los Angeles. In California, experts studied the leading causes of maternal death. They learned what factors led to deaths and they came up with a set of standardized guidelines for diagnosing and treating women who might be in danger. If those guidelines had been followed, Charles Johnson’s wife, Kira, might still be alive. 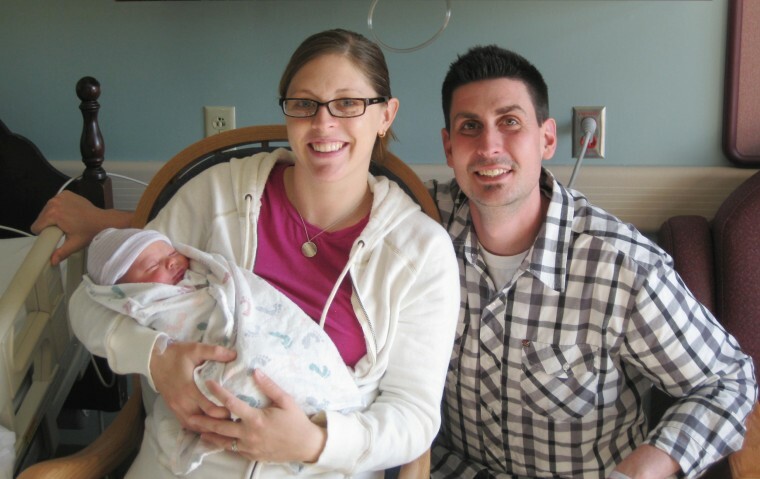 Two hours after the family’s second son was born via C-section in a Los Angeles hospital, Charles noticed a pink tinge developing in her catheter. Worried Kira might be bleeding internally, he called for help. Blood work showed something was wrong, but the CT scan doctors promised would be done never was. As hours ticked by and Kira started to lose color and became chilled, Johnson got scared. Despite transfusions, Kira became even paler and started to shiver. Ten hours after Kira had given birth to her son Langston, doctors rushed her back to the operating room. Thirty minutes later, Johnson was told his wife had died. Johnson later learned that Kira’s surgeon had nicked her bladder during the C-section. During all those hours of waiting, “I literally had watched her bleed to death,” Johnson says. The guidelines list symptoms, as well as risk factors for bleeding. They also suggest ways hospitals can prepare for hemorrhages, like having a cart dedicated to treating this emergency. “You want a cart with all the things you might need already pre-supplied so you’re not running all over doing a search mission,” says Dr. William Grobman, a professor and vice chair for clinical operations in obstetrics and gynecology at Northwestern University Feinberg School of Medicine. New York State is also working on a system that will cut back on maternal deaths by standardizing diagnosis and treatment of the leading causes of death in new moms: a deadly form of high blood pressure called preeclampsia, hemorrhage, and fetal embolisms, which are pregnancy related particles that get into the bloodstream and can block arteries to the heart. Ryan Hansen now runs the Tara Hansen Foundation to increase awareness of maternal health, while raising 7-year-old Brandon. "Maternal health is not just a family issue, it's almost a community issue," says Ryan. "Tara's death has meaning, to save other women's lives."